ISLAMABAD — Afghan women took to the streets Tuesday in Afghanistan’s conservative Helmand province and joined an ongoing man-only sit-in demanding Taliban insurgents stop hostilities. A deadly suicide car bombing at a sports stadium last Thursday in the provincial capital, Lashkargah, provoked young men to stage the anti-war protest at the site of the attack. Officials said the blast killed at least 14 people and wounded over 40 others. Women clad in burqas arrived at the stadium and installed their own tent next to those housing men protesters to add their voice to calls for the insurgents to stop fighting and talk peace. Many of the women protesters are said to have lost loved ones in the war. Women in ethnic Pashtun-dominated regions of Afghanistan rarely step out of their homes for attending protests. “We have lost our relatives and we want peace in our province,” a female protester at the rally told reporters. “Stop making us widows and making us cry over the death of our children,” said another woman at the rally. Organizers of the first-ever anti-war demonstration in Helmand say they plan to march towards the insurgent-controlled district of Musa Qala on Thursday with a message of peace for the Taliban. The district is about 90 kilometers from the provincial capital. Insurgents, they added, have been informed about the planed “long march” with a request to ensure security of the marchers and a response from them is still awaited. A Taliban official requesting anonymity told VOA his group is looking forward to meeting with and talk to the protesters. The Taliban controls or contests most of the districts in the largest Afghan province, a major opium-poppy-producing region. 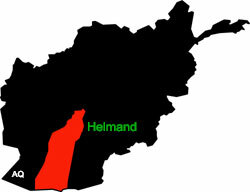 Insurgents routinely carry out battlefield attacks and suicide bombings against Afghan security forces in Helmand and claim responsibility for such acts. The Afghan government has recently announced an unconditional offer of peace talks to the Taliban to end years of war in the country. But the rebels have ignored the overture. On Tuesday, an international conference in the neighboring Central Asian state of Uzbekistan voiced strong backing for Kabul’s offer of a peace dialogue and called on the Taliban to accept it. *THAT IS JUST ANOTHER IN SERIES TO EXPLOIT WOMEN..
AS A PART OF SUBJUGATION PROGRAMS. ARE GETTING WOMEN PREPARE AND INVOLVED FOR ALL SORTS OF DIRTY SCHEMES AND EXPLOITATIONS. THEY HAVE USED WOMEN FOR PROSTITUTION ESPIONAGE AND ALL OTHER POSSIBLE SORTS OF DIRTY DEDIGNS AGAINST THE LOCALS, IN AN ORDER TO ENHANCE THEIR CAPABILITIES ON IMPOSED HOT CONFLICTS ACROSS THE WORLD. I do not know exactly how the invaders could possibly exploitat the women in Afghanistan; but, it has always played a big part in all other hot conflicts that US got itself involved- it is a disgrace to women’s legitimate right. IN ANY IMPOSED HOT CONFLICT- IT WOULD BE ALWAYS THE WOMEN WHO WOULD END UP GETTING THE WORST. I am talking about severe psychological tools- there is no civilized good news in sarcasm of any sort. WHAT “ACHIEVEMENTS” ON WOMEN’S STATUS- NOTHING BUT SEVERE EXPLOITATIONS UNDER ALL. YOP IT OFF; YOU HAVE NO RESPECT FOR THE PEOPLE OF AFGHANISTAN IN GENERAL, NO MATTER WHO IS INVOLVE-IT ALL BOILS DOWN TO MILITARY GREEDY OBJECTIVES AND EXPLOITATIONS. on the subject of comfort girls from exotic parts of the world- all at the mexclusive services of the military personnels.